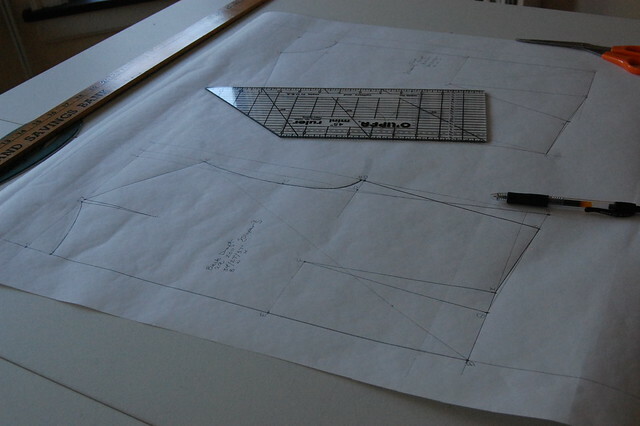 I've been doing a lot of pattern drafting lately. I thought it would be good to get back to the basics and make some new slopers (pattern blocks). And since the last bodice sloper I made I lost somewhere I decided to sit down and just draft a whole new one. 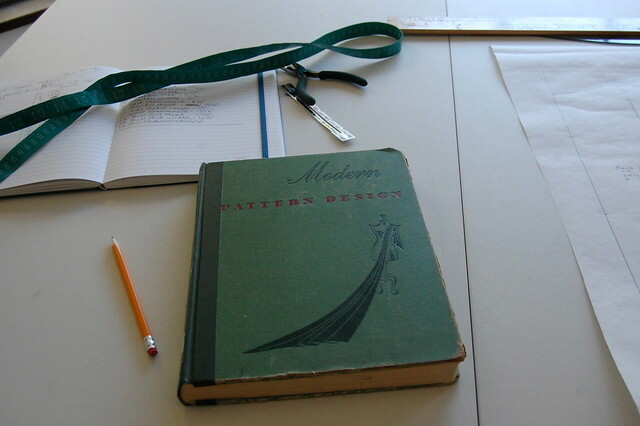 I have been using Modern Pattern Design by Harriet Pepin, published in 1942, for most of my drafting (along with a few other books). Although it is pretty old, it has such wonderful timeless information in it. I absolutely adore this book! I don't own it, but found out that Jed's university library carries it so I had him pick it up for me. But I also found this PDF download online for those who don't have access to the book. I highly recommend it if you are just learning or would like to learn how to draft patterns. 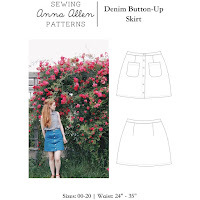 Having a well fitted sloper that fits your body measurements really is a good thing to have even if you don't ever plan to make your own patterns. I found this incredibly helpful tutorial on how to use your sloper to grade a pattern to your size. I tried it on a vintage pattern I have and it looks like it will work perfectly, just haven't had the time to make the dress yet! Taking your time to make the pattern fit before cutting out your garment will save you a lot of time in the long run, not to mention some hair pulling. ;) If there is anything I've learned from years of sewing it's that it never pays to rush or cut corners. And I might also suggest that if you do end up making a sloper, take your time with it. Test it over and over until you are truly happy with the fit. I ended up cutting out two or three sleeves until later realizing that the first sleeve actually fit, it's just that I didn't take the time at the start to cut it out and slowly assemble it. 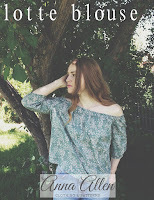 In other sewing news, I am working on a new pattern for a few new garments for the shop. Yes, I am planning to open the shop soon! 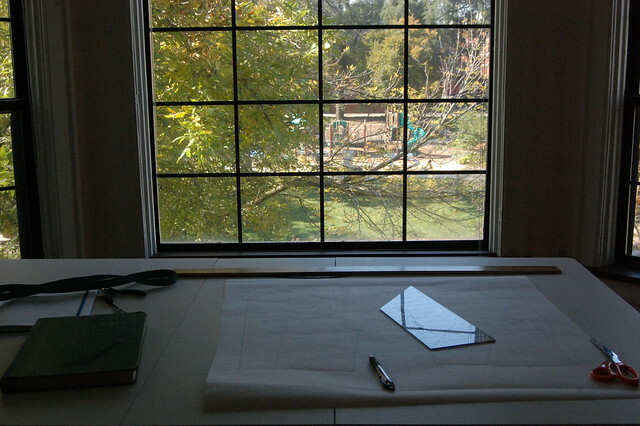 I thought it might be good to take a wee little break to work on pattern making for awhile. But stay tuned for an upcoming shop update! So neat! I just went ahead and downloaded it. I may not be anywhere near ready to start drafting, but it's a good resource to have on hand when I do feel like I am ready to tackle it! Thanks for the links! I've been looking for a good kick in the pants to get started learning drafting, and this might just do the trick. Today: finally those slopers. Thank you so much for sharing these resource links. 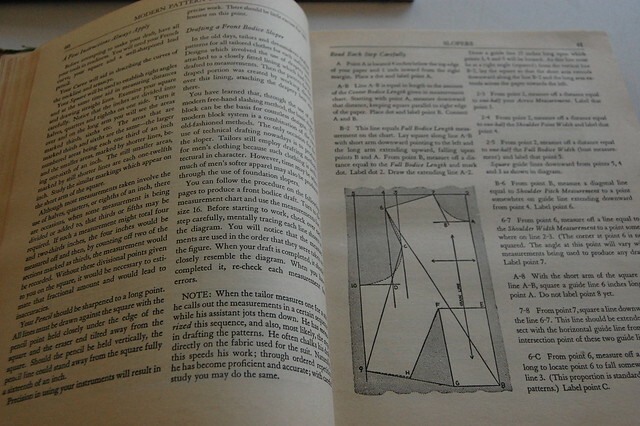 I recently decided I want to start drafting my own patterns, and I've been looking for good information about slopers. Thank you so much for the PDF link. I'm sure that book will be a wealth of knowledge to me! I'm looking forward to seeing your newly designed garments! Yay, Anna! The process of drafting muslins and fitting slopers until they're perfect is so much tedious work! Your commitment to it is inspiring. I'm excited for what you will make, I'm sure it will be gorgeous. Look at those windows!! I really want to see your apartment. Joe is able to go to the Feist concert with me after all, so we're spending the whole weekend of the 4th in Chicago. We even have a free place to stay. Can we get together with you guys and hang out, maybe Saturday night?